Choice Realty was the first Spokane real estate firm to offer full service real estate consulting. We still offer the more traditional commission based marketing programs PLUS non-traditional options to help our clients save between 17% to 80% of the commission on the sale of their home or generate enough net profits to cover the selling costs completely! Not only do we offer clients a CHOICE of service options, we have options for payment fulfillment. Real estate services can be paid traditionally contingent on the sale (commission), as the services are rendered (fee for service) with flat fees, hourly fees or a combination of these options. If you've been considering selling as a "For Sale By Owner" home seller, consider Choice Realty first as we will team up with you rather than you having to "go it alone". So when you say "I want to sell my Spokane home" or "I need my home in the Spokane MLS", consider locally owned in Spokane, Choice Realty. 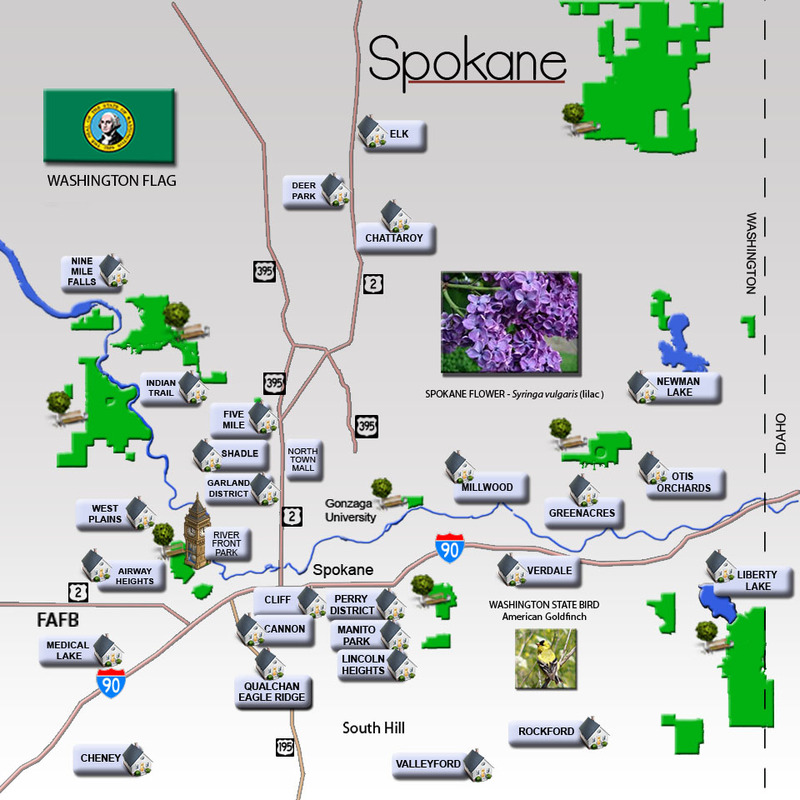 For more information about a property for sale and/or the services that we provide, please contact a highly qualified Spokane Realtor at (509) 217-0200 and one of our real estate consultants would be delighted to assist you!